Today, cryptocurrencies are much more than just a means of making or receiving payments. Through the use of smart contracts and innovative consensus methods, it’s possible now to hold various cryptocurrencies and earn a relatively regular return by doing so. Some projects accomplish this through smart contracts, proof-of-stake, through running a masternode, and even through methods that resemble good old-fashioned dividends. Today, we’re going to look at a few of the popular methods of earning a regular return just by buying and holding onto cryptocurrency. 1 Profits with Mining ? 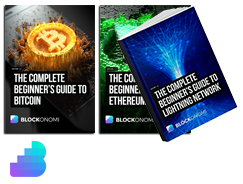 Generally speaking, if you want to get some bitcoin or Ethereum through mining, you will need to dedicate thousands or even tens of thousands of dollars in hardware and electricity in order to even stand a chance of making money. Additionally, it can take many months or even years until you recoup your initial investment and begin to make a profit. If you’re located in an area where electricity is expensive, then you stand even less of a chance of breaking even, or making a meager profit. Mining equipment like ASICs and graphics cards often sell at huge markups because they are so difficult to find due to the unbelievable demand. You may end up having to pay double, triple, or even more over the standard price. And that’s just to get your hands on the equipment to get started. To make things even worse, the hardware you invested in will likely be outclassed and obsolete in just a year or two depending on when you buy. Proof-of-stake currencies rely on a totally different method of mining. Instead of energy and computationally intensive hashing, proof-of-stake mining is done through holding cryptocurrency coins in a staking wallet (usually the official wallet of the currency). Then all you need to do is let it sit there with your computer on and your wallet in staking mode. Proof-of-stake allows you to earn steady rewards in exchange for being a node on the network and supporting the currency economically by buying and holding it. What’s nice about proof-of-stake mining is that the cryptocurrency you need to buy in order to stake can be sold at any time. It does not depreciate due to staking, and you will not need to recoup your losses unless the currency you bought into drops massively. The downside is that depending on the cryptocurrency, you may need to purchase many thousands of dollars in equivalent to get enough in order to be able to stake regularly. Proof-of-stake mining is also competitive, and so the more units you own, the more likely you are to stake. For instance, in order to stand a reasonable chance to staking once a month in the PIVX network, one must own at least 500 PIV (about $3500 to $6000 at recent prices). Masternodes operate in a way somewhat similar to proof-of-stake. You purchase and hold a set amount of cryptocurrency coins in a wallet, and you run your own server (like a VPS or even just your home computer in some cases) and your computer earns you regular rewards in exchange for supporting the network. Masternodes typically earn a higher rate of return than proof-of-stake mining. However, masternodes are often very expensive to get started. For example, a Dash masternode will require 1000 DASH to get started. At today’s prices, that’s close to $1 million. For other currencies like PIVX, the cost is closer to $100,000. It’s cheaper, but out of range for many. Once the node is running, however, it’s pretty normal to make several thousand or more dollars a month in earnings. According to this calculator, a Dash masternode should bring in around $4000 to $5000 per month. A PIVX masternode should net you around $300 to $500 per month, but has a much lower startup cost. A number of new cryptocurrencies have also started offering masternodes, perhaps in an attempt to attract more investors looking to earn a passive income. Some of these new projects include ChainCoin, the Crypto Improvement Fund, Insane Coin, 8-bit Coin, and dozens of others. Much like traditional stock investments, a number of cryptocurrency projects offer some form of a dividend. Usually, you hold a certain amount of the tokens in a compatible wallet, and then each designated dividend period, a deposit is made to your account that holds the coins. This can happen between every day, to every quarter. If you keep your coins on an exchange, the exchange will probably get the rewards intead of you. Therefore it’s important to make sure you use the right type of wallet. Some cryptocurrency exchanges are offering dividends to holders of their own tokens. The dividend typically represents a portion of the profit that the exchange earned during that time frame. For instance, Flyp.Me, a relatively new accountless exchange that is similar to Shapeshift, has its own token. They plan to release dividends every quarter in the form of ETH. The ERC-20 tokens can be held in any compatible Ethereum wallet such as MyEtherWallet.com, Meta Mask, and so on. A number of Chinese exchanges like Kucoin and Binance have similar offerings. In addition to receiving dividends, holders of the tokens can also get other benefits like lower exchange fees. Speaking of Chinese projects, Neo has a similar program where those who hold units of Neo will receive the secondary currency of the chain known as GAS periodically if stored in a supporting wallet. GAS is used to pay for transactions on the Neo network. This is different from Ethereum, where it’s own native Ether is used to pay for transactions. This ensures that GAS is always in demand, and therefore valuable. As the number of projects relying on Neo grows, GAS prices will perhaps increase over time. As you can see, there are quite a few ways to earn a cryptocurrency reward not only for mining, but in some cases just for holding, or keeping the currency coins in the right wallet. Thank you Robert Devoe for your very helpful tips. Can you tell me about some alternatives of bitcoin too. BiblePay (BBP) is a great new masternode coin, 10% of all BiblePay coins go to Charity! which is currently funding 329 Orphans every month! The Yearly ROI on BiblePay masternode is 120%+!